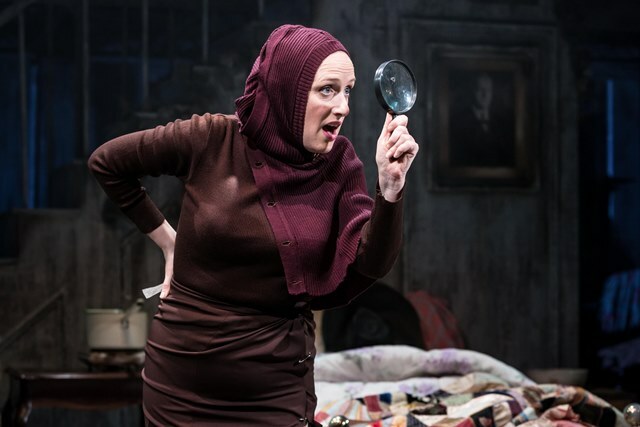 Robert Tanitch reviews Grey Gardens at Southwark Playhouse, London SE1. 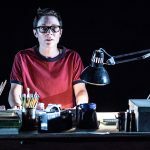 Thom Southerland, Southwark Playhouse and revivals of American musicals you long to see are synonymous. Their most recent productions have included such delights as Grand Hotel, Titanic, Parade and Mack & Mabel. 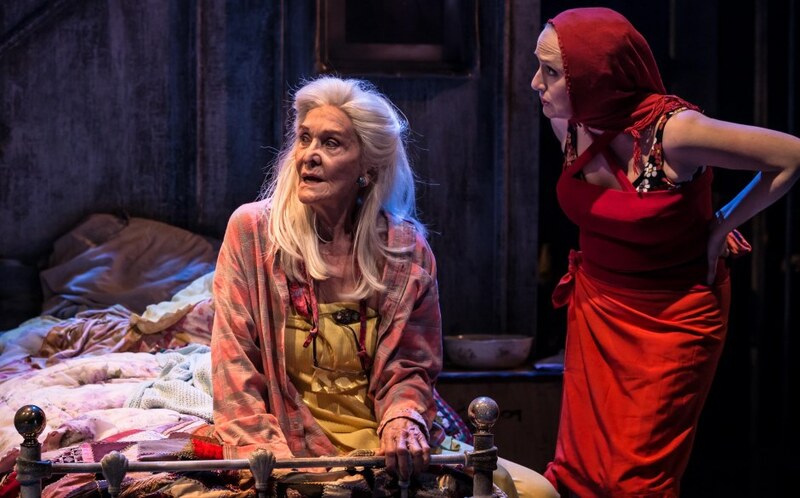 Grey Gardens, their latest production, is also an American musical. It’s about two eccentric women, a mother and daughter, two rich socialites, called Big Eddie and Little Eddie. It is all very bizarre; perhaps too bizarre for some. Yet many will find it quite haunting in its outré way. The book is by Doug Wright. The music is by Scott Frankel. The lyrics are by Michel Korrie. 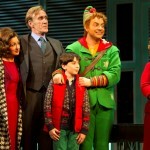 It had its premiere Off-Broadway in 2006 and then transferred to Broadway, winning a number of awards. The show takes its inspiration from a 1975 documentary by Albert and David Maysles, which had (and still has) something of a cult following; no doubt because the mother and daughter were US First Lady Jacqueline Kennedy Onassis’s aunt and niece. You can watch the documentary on You Tube. Mother and daughter do not get on. The first act is set in East Hampton, Long Island in 1941 and is fiction. The daughter is engaged to be married to Joseph F Kennedy, JFK’s elder brother. The second act takes place 23 years later and the mother, who is now 79 and daughter who is now 56, are rich recluses living in squalor. Their 28 bedroom house is full of garbage and 52 cats. Mother and daughter still do not get on. Come to think of it, they might have got on with the two brothers, Homer and Langley Colyer, who became famous when they, also recluses, were found dead in 1947 in their barricaded home in Harlem, buried beneath 140 tons of junk. You can see their equally bizarre story in the play, The Dazzle. The dialogue, the lyrics and the dance routines in the second act of Grey Gardens are based very much on the documentary. Acoustically, too, it is the better act. The one scene everybody remembers who has seen the documentary is Little Eddie doing a flag-waving number all on her own. This has been turned into a hilariously silly ensemble number. 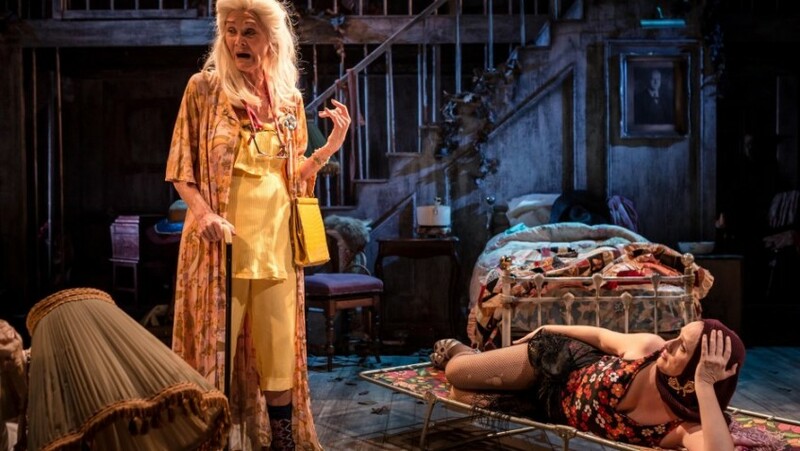 Sheila Hancock, who plays the 79 year-old mother, comes into her own in the second act, and there is good support from Aaron Sidwell in two contrasting roles and Jeremy Legat as the pianist.